Want to know how far away your flash will illuminate your subject? This 3.5" x 5.5" laminated cheat sheet shows the effective flash range by ISO setting/film speed and lens aperture. 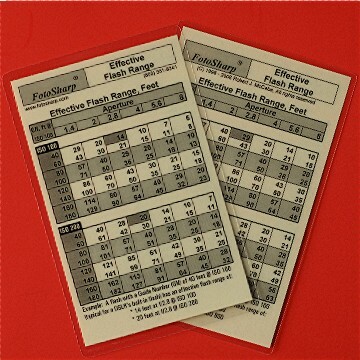 Covers flash Guide Numbers from 40 to 180.